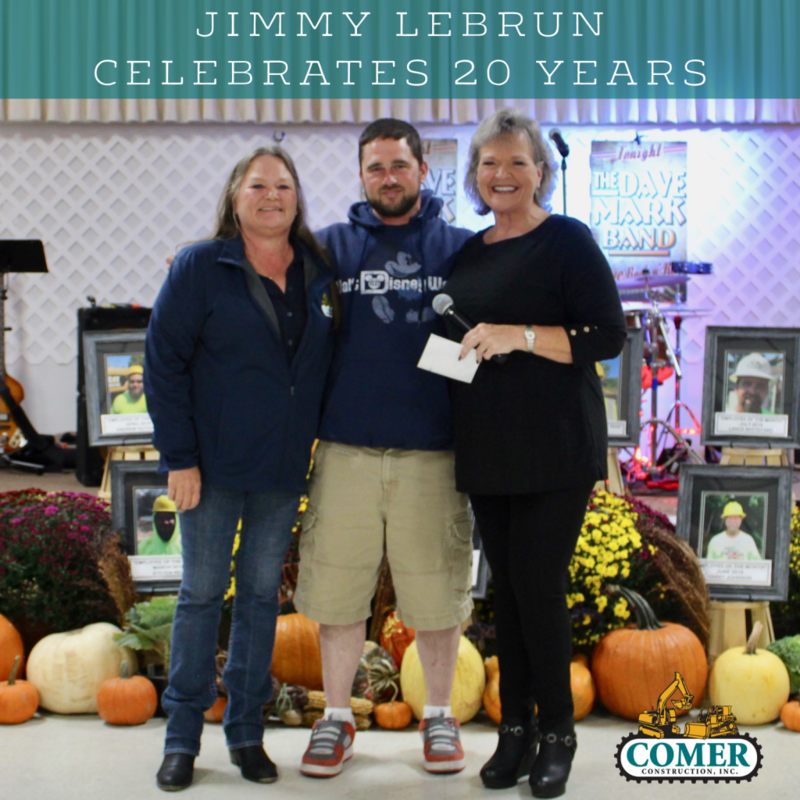 Jimmy LeBrun Celebrates 20 Years with Comer Construction - Comer Construction, Inc. It's been 20 years since Jimmy LeBrun first became part of the Comer Construction Team. 2018 marks Jimmy's 20th year with us and we wanted to be sure to celebrate this two-decade anniversary before the year's end. Thank you Jimmy for 20 years of continued loyalty and hard work as a Heavy Equipment Operator on our underground utility division. We wish you continued success in the years to come. Here's to another 20 years!